Unlike what many people think exercise will boost your energy and make you feel better throughout the day. As you get in shape your normal task will become less exhausting. Having more energy thought the day will make feel younger once again. As you age you naturally lose muscle and your posture takes a hit with that. This is especially seen now more than ever with more people working at desk. By working out and strengthening your back you can improve your posture and stand straighter. This will make you look and feel younger. When you age your muscles and joints tend to get used less. This will make them stiffen up and things that were once easy, like tying your shoes, become harder than you ever thought. Exercising will make you start to use those muscles and strengthen your joints. When you get your muscles firing again it allows the body to loosen up and flexibility will increase. Combining lifting weights with stretching is a great way to get your flexibility to improve. Exercising is one of the best ways to reduce stress. Reducing stress will make you feel more alive and boost your mood. It will also decrease body fat. This is one of the first improvements I see in most of my clients. They come from a stressful day at work burnt out and leave with a smile on their face. Nothing makes you feel more youthful like a good nights sleep. When you get older you tend to have a harder time sleeping. Exercise can reduce many of those factors. It will reduce aches and pains, stress, and burn off some steam that’s keeping you awake. All of these things will lead to a better nights sleep and allow you to wake up feeling more energized. Are you ready to feel younger? 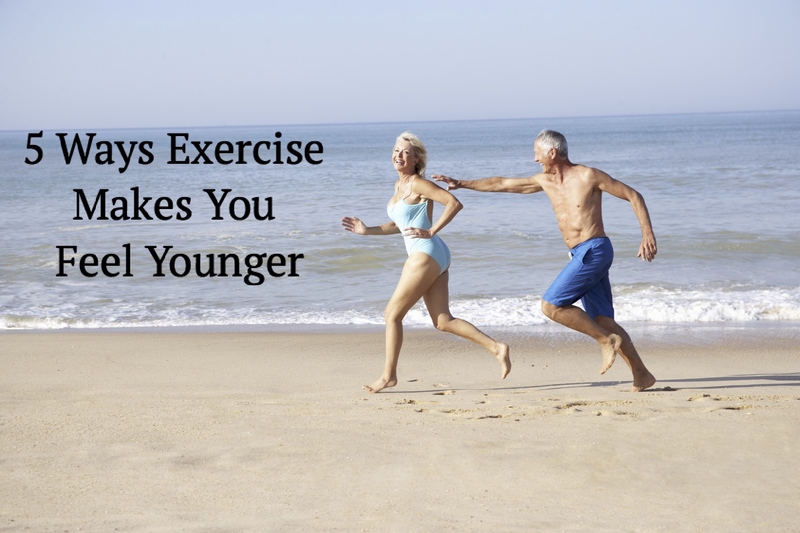 This entry was posted in Blog and tagged exercise, Feel younger, online personal training, personal trainer, personal trainer modesto, personal trainer ripon, personal trainer salida, personal training, personal training ripon, ripon. Bookmark the permalink.